A really neat way to recycle brown paper grocery bags is to make them into a basic brown paper bag wreath. 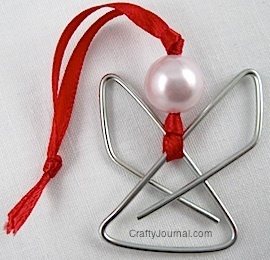 This basic wreath can then be used as a base for any wreath you want to make. You can either leave the brown paper showing for a rustic looking wreath, or wrap it with colorful wrapping to match a holiday decor. Or it can be spray painted any color. This is so perfect for any time of year, and recycles, as well. I made the large wreath from 2 brown grocery bags and it’s 12 inches in diameter. The small wreath from 2 brown lunch sacks is 5 inches in diameter. You can decorate this basic wreath for any occasion, or just make a spring wreath, or snowy wreath, or nature wreath, and you won’t have to buy an expensive wreath again. 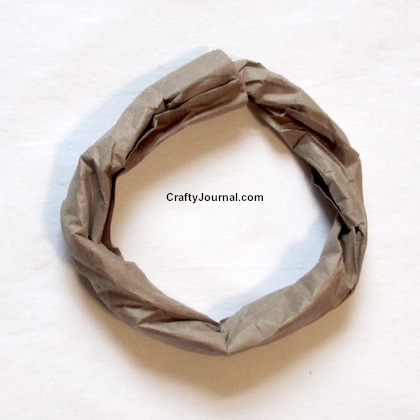 How to Make a Basic Brown Paper Bag Wreath. 1. Open out the bag and lay it flat. 2. 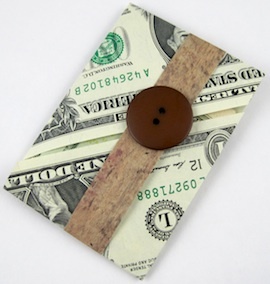 Fold up the bottom 2 or 3 inches, and fold down the top 2 or 3 inches. 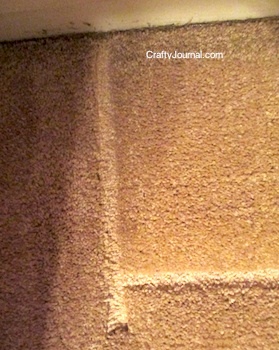 This will help keep the edges from tearing and tuck away all the ragged parts. 3. Start rolling the bottom edge toward the top. Continue until the bag is completely rolled. 4. Pick up the roll and twist. 5. Bring the ends around in a circle and push one end inside the other. 6. 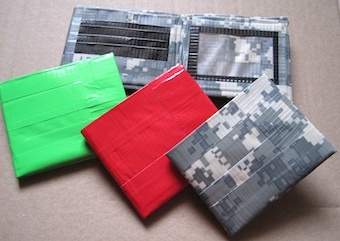 Use a piece of duct tape to wrap around the ends to keep them from coming apart. 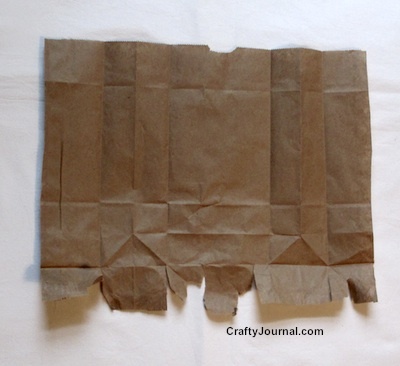 The basic brown paper bag wreath is ready for decoration. Lay the first bag roll on the bottom edge of the second bag and roll the second bag up around the first bag. Continue with step 4 through 6. 8. After you’ve finished rolling the bag, start twisting it until the entire length of the roll is twisted. The twisting keeps the bag from unrolling again. 9. Twist the smaller end of the roll really tightly and put it inside the other end of the roll. Be sure the other end is open enough to put the smaller end into. I tapered one end of the roll a little with scissors before twisting it tightly. 10. Use duct tape around where the 2 ends come together to hold it. I used white duct tape because I was wrapping the wreath with white crepe paper, but you could use tan duct tape to match the color of the bag. This makes a really sturdy wreath. 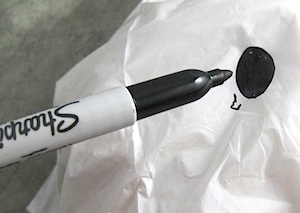 If you don’t have any brown bags, rolled newspaper would work well, too. Since the sheets are so thin, it would probably take a few layers to make an adequate thickness. You can use brown paper bag wreaths to make these fun wreaths. 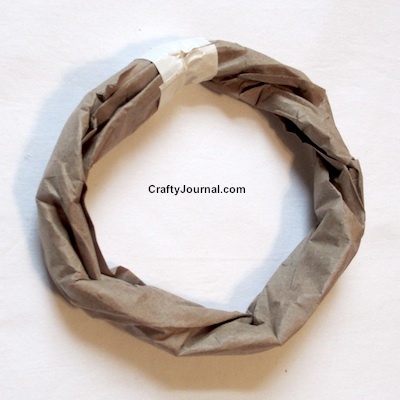 The wreath made from a brown grocery bag is a good idea for a senior craft. This is awesome! I like to make wreaths but the forms can add up and I always have paper bags around so this is perfect! Thank you so much for sharing! I like this idea! From here you could even decorate it further to add more pizzazz! Fantastic idea and recycling. Hard to get paper bags where we live (Grand Junction, CO area) so when I see one at stores always ask for paper bags. We live few miles west of G.J. and away from stores so like to have things on hand when I see an idea want to make. Those wreath forms are expensive. I try to buy them when they’re on clearance even if don’t know yet what will make with it. Have to be prepared, that’s why my craft room is over loaded. Great idea! Wreath forms are so expensive. I will be giving this a try. Thank you for sharing with us at the Brag About It Link Party! What a clever idea. You could dress this up so easily! Thanks for sharing with SYC. Great idea! You can never have too many wreath forms 🙂 So glad you shared your creative post at What Are You Doing? Blog Hop. Cute idea!! Thanks for linking up on My 2 Favorite Things on Thursday Link Party!! Hope to see you again tomorrow!! Love partying with you!! Pinned! This would make a great base for a wreath. I have quite a few paper bags sitting under my sink I could use. Thanks for linking up at the Bloggers Brags party, I pinned your post to our group board. Greetings from Ontario, Canada! Thank you SO much for this ingenious idea of making a wreath with NO straw or foam wreath form! There’s another post on the Web that says “only two items needed: paper & staples”. 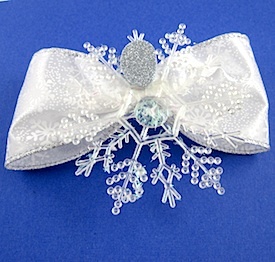 However, when I read it, it wasn’t true – there was a third item, a straw wreath!! So again, my big thank you! I can’t always get to a craft store so I really, really appreciate your creativity!! I know what you mean! I try to craft with recyclables and inexpensive items as much as I can.